Luxury must drive the sustainable movement by leading the ways. 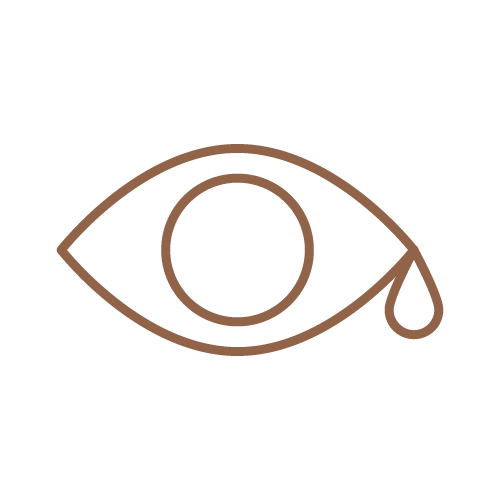 For more reasons than one, the luxury industry must drive the sustainable movement. For a start it is our duty as brilliant business minds to light the way for others to follow. Second, it is our duty as privileged people to help end poverty, to protect the planet, and to nurture the seeds of prosperity for all. Thirdly; it’s essential, not only to survive as a species but also to survive as a business in a changing and challenging world. 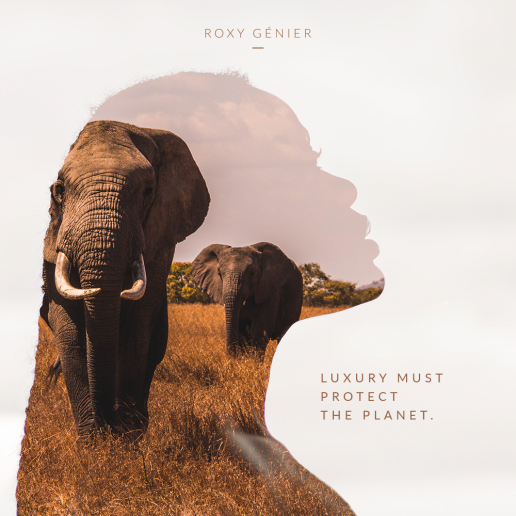 In the WWF report on Deeper Luxury, Jem Bendell and Anthony Kleanthous defined authentic luxury brands as “those that provide the greatest positive contribution to all affected by their creation and that identify their consumers as having the means and motivation to respect both people and planet”. Back in 2016, a report looking into the predictions for the luxury industry cited that a staggering 88% of millennials and generation xers firmly believed that brands needed to do more good in the world. The message is loud and clear; those who are up and coming in the world of luxury, our next generation of buyers, seek clean labels and sustainability. But what do we mean when we talk about sustainability, how does that fit in with the luxury market, and what steps can we all take to live cleaner and richer lives, and to implement more eco-friendly practice into our products, brands and businesses. In short; sustainability is a balancing act. We all know that the world has her limits – limited space and limited resources and as the population grows and consumerism booms, its only a matter of time before we tip the scales irrevocably. 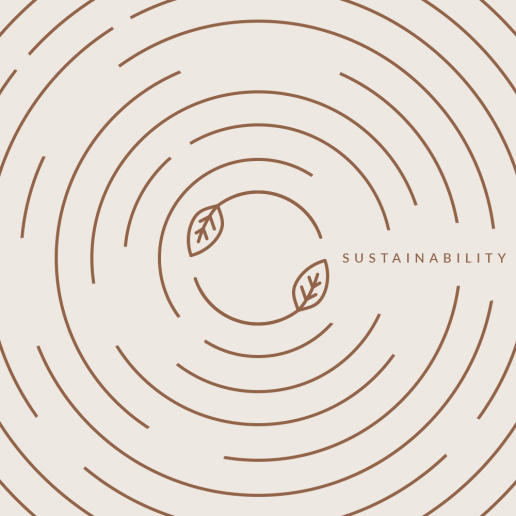 According to McGill University; sustainability is about finding ways to meet our own needs without compromising the ability for future generations to meet their own needs. It is about living within our environmental means, and its taking the three P’s into account – people, planet, and profit. When working within the borders of sustainability we always need to consider three questions; is this good for our neighbor? Is this good for the environment? And does this make economic sense? If you trace luxury back to its roots; it wasn’t ever supposed to be about excess. Luxury was linked with exceptional craftmanship and coveted materials. It was about something so special and so well made that you would only have to buy it once. It was about an object that could become an heirloom and be passed down to your children’s children. In short, something sustainable. Luxury has always been celebrated as the pinnacle of great success. Luxury sets the trends for others to follow, and this is why the sustainable movement has to start at our door. Brands like Stella McCartney have already started, the fashion giant has embraced the art of wanting a greener more glorious world, she says I design clothes that are meant to last. I believe in creating pieces that are not going to get burnt, that are not going to landfills and that are not going to damage the environment. From organic cotton to seeking out alternatives to leather in an effort not to contribute to the greenhouse gases caused by cattle rearing, Stella McCartney has taken the leap and is setting the bar for other brands to follow. Ralph Lauren has even hired a director of sustainability to work with them behind the scenes and Chopard is working towards becoming entirely sustainable. Its time we take the stance that waste is finally out of fashion and that we are cleaning out our closets for good. Fashion needs to slow down; of course the clothing production line will never come to a grinding halt, but while the cogs are turning it is worth addressing how much stock is being made and to look head on at the ways in which each garment is being made. Because waste was always going to be fashions next big scandal. One of the biggest changes can be seeking cleaner fabrics. Fabric treatment is dirty business and often relies on a high level of chemical input. Then, animal rights in the fur and leather industry; both of which are not only unsustainable but the current practice is unethical. Fashion brands need to be able to trace their textiles back right to the source, and to ensure that every fiber has been crafted as cleanly as possible, and that every inch of fabric will be used. Far from the clean green couture runways, we come to a different type of runway – as we touch down to look at sustainable travel. In 2017, booking.com released a study that showcased a staggering 65% of travelers had vowed to look for greener accommodation for their next adventure. Those numbers are almost double what they were a year ago. For the intrepid adventurer, sustainability goes hand in hand with luxury travel. Even places like The Brando, one of the most luxurious resorts in the world are turning their attention to adapting sustainability. By concentrating their architectural efforts on completely renewable energy, they are practically self-sustainable and are now LEED platinum certified – one of the highest certificates you can get. For the intrepid adventurer, sustainability goes hand in hand with luxury travel. From the far reaches of remote Polynesian islands to the edge of the earth in Antarctica, gin clear seas, diamond bright air, and untapped jungles – it is in everyone’s best interests to keep these far-flung places beautifully intact. Of course, this poses a problem for luxury hotel brands and tour operators. How do you feed the needs of a five-star guest without leaving a large carbon footprint? Large hotel brands are also already implementing major changes in terms of architectural design and renewable energy sources. But even for the smaller more boutique brand – small touches can make a world of difference. For example even switching to LED lighting, while an investment at first, will dramatically reduce power outgoings and costs in the long run. There are other details; forgoing plastic straws, recycling, and considering water efficiency is just the tip of the already melting ice-berg. One of the biggest problems the hospitality industry faces is food waste. Putting on an elaborate spread is certainly Instagram worthy, but dealing with the leftovers is a different story. On the shores of Mexico’s Velas Vallarta, one resort – the Puerto Vallarta is dishing out all its food waste to the local farmers to use as pig feed or to be used back at the resort to fertilize the lush green gardens. By conducting your own waste audits at hotels and restaurants, you can start to take stock of just how much food is being thrown out, which areas are becoming sloppy, and where changes can be made to reduce the output. Getting your hospitality staff involved in the audit makes the world of waste more tangible, even just building on awareness and knowledge can reduce a throwaway culture and improve waste management. Taking a philosophical approach to sustainability and waste takes the dull duty and chore aspect away and replaces it with something deeper that can imbed in our heart. The Japanese concept of mottainai for example, can be traced back to Buddhism, and speaks of a feeling of regret at having wasted something precious. Mottainai seeks to embrace the four pillars; reduce, reuse, recycle, and respect. The sociologist Yuko Kawanishi also believes that mottainai is linked with Shinto. The belief that all objects, no matter how inanimate, have a spirit. Thus to keep the spirit alive and to keep mottainai on the mind; finish every grain of rice in the pot, sew the button back onto your shirt, and look after the things you love or have loved enough to purchase. Waste will weigh us down, not just as individuals, but as a planet. The need for sustainability is etched in our history; Easter Island is a tragic lesson for the modern world. The tale of the Rapanui who cut down all their trees, who frivolously used all their resources until there was nothing left but a barren wasteland and cannibalism to survive. You’ve heard the age-old adage by now – there is no plan-et B, sustainable action starts here, it starts at the top, and together we can inspire a brave new world and a better life for all. Sustainability is a New Luxury value. Now, let’s explore the next luxury anti-value.